SO Resi Wokingham - Final apartments remaining. A selection of 2 bedroom apartments available for shared ownership. So Resi Wokingham is one of the most anticipated developments in the area and sure to delight in your shared ownership property search. 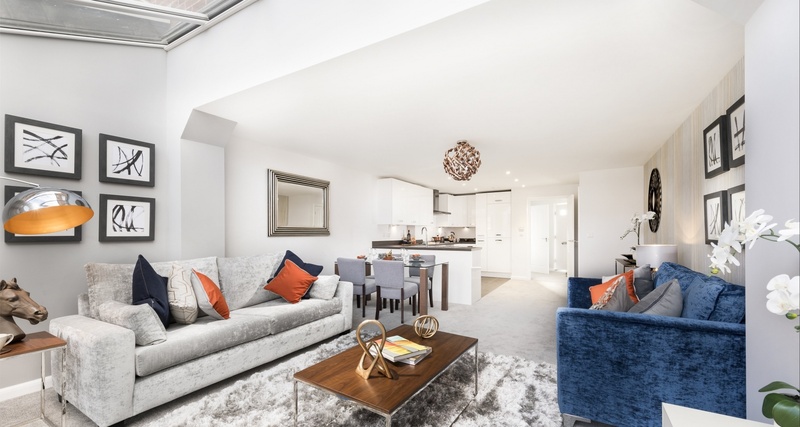 Built by Bovis Homes and part of the larger Matthews Green Farm development, So Resi Wokingham will set the bar that little higher for Shared Ownership living. Once complete residents of So Resi Wokingham will be able to take full advantage of onsite shops, enjoy the convenience of a brand new primary school, truly unwind within landscaped open spaces, take time with the kids in new play areas and enjoy being active with new pathways and cycle tracks. Register your interest today to see how you can become a homeowner at So Resi Wokingham. Shared ownership in Berkshire takes you to the historic market town of Wokingham, with its warm and welcoming neighbourhood, is home to a whole host of things to do for every day of the week. Whatever the weather, there’s something for everyone to enjoy. Families will be pleased to know that a number of surrounding schools are rated as either Good or Outstanding by Ofsted – and many are within easy reach by foot or bicycle. Whether you prefer to explore the great outdoors, let your hair down at a music festival, push the boat out with fine dining or seek out that cozy corner in one the many top rated family pubs – you really are spoilt for choice. * Show home images from So Resi Wokingham.